Shortly after taking office as Florida Governor, Republican Ron DeSantis wasted no time in filling the three Florida Supreme Court vacancies previously held by its most liberal justices. The appointments of Justices Barbara Lagoa, Robert Luck, and Carlos Muñiz are expected to change the face of the Court for decades, as a majority of the seven justices currently sitting on the Court will not face mandatory retirement for the next 17 years. The three appointments mark a long-overdue pendulum-like swing for the court. In 2000, all seven of the justices were Democratic appointees. Around that same time, Republicans began repeatedly winning elections for Governor and the majority of both houses of the state legislature. Florida voters gave Republicans this “trifecta” of power in every state election from 1999 to 2019, and conservative lawmakers, carrying a mandate from their repeated reelections, sought to give the public the conservative laws that it clearly wanted. Meanwhile, a liberal Florida Supreme Court stood as an obstacle to the democratic will. In the past twenty years, 5-2 and 4-3 liberal majorities have repeatedly voted to overturn an array of duly enacted statutes, from abortion regulations to school choice legislation to various tort reform efforts. 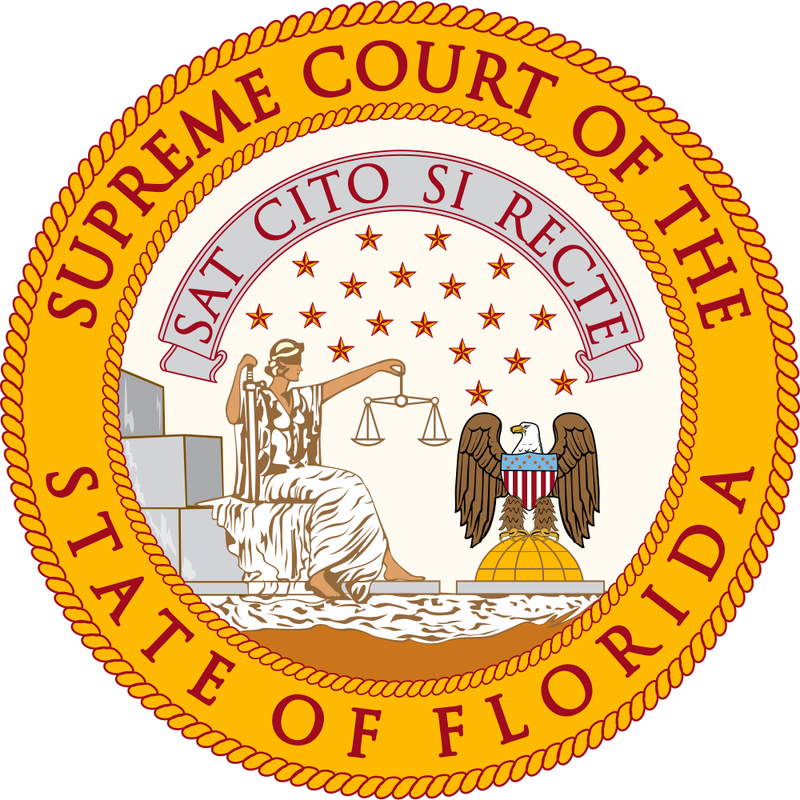 The standoff between the Court and the elected branches became so contentious, and so expensive for both taxpayers and private parties, that the American Tort Reform Foundation in 2017 designated Florida as the number one “judicial hell hole” in the United States, citing the Court’s “barely contained contempt” for the legislature’s lawmaking authority. With the Governor’s three recent appointments, many expect that the court’s composition will change from a 4-3 liberal majority to a 6-1 conservative majority. While certainly the state’s highest court will continue to provide the important checks on the democratic process that, under the federal and state constitutions, it is obligated to provide, many onlookers hope that these new appointments signify an end to the bitter and expensive gridlock that has plagued Florida for so long. As Justices Lagoa, Luck, and Muñiz have each voiced support for textualism and the rule of the written law, Florida citizens can be cautiously optimistic that the state’s democratic process will proceed with less judicial obstructionism than it has in the last twenty years.